Sayulita - a small town with a very special feel to it. The air is full of beach life, and the streets are full of people enjoying it. Street venders with their colorful wares, shops with their doors open to invite browsing and evening crowds of gringos and locals alike around the central plaza all give life to this village. 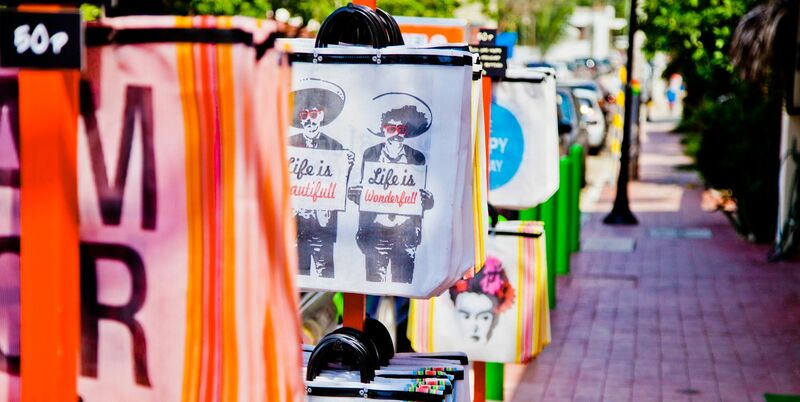 Whether you are a surfer, sightseer or just curious, Sayulita offers a beach-style laid-back brand of Mexican culture. Slow paced and sunny! 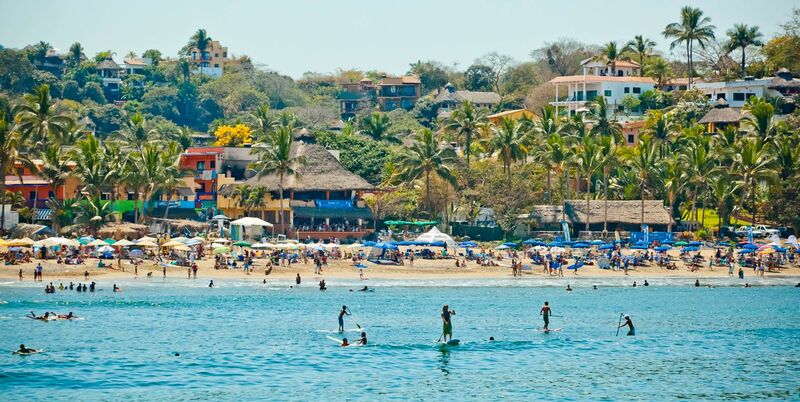 Sun-worshipers, surfers and swimmers all relish Sayulita's beach time. The north facing bay has waves - usually big enough to surf - yet safe for swimming. The mostly sandy bottom makes good wading for the non-swimmer. Vendors walk the beach - hammocks, hats, shirts, silver, jewelry - to mention only a few of the variety of goods. Their salesmanship is not forceful, and a polite "no gracias" (no thank you) suffices if you are not interested. Sayulita is a small pueblo, home to just a few thousand souls at the highest of the high season, and yet, surprisingly, wonderfully, the streets of Sayulita are lined with a bountiful selection of unique shops, galleries, and boutiques; with its distinctive combination of hippie chic, surfer vibe, and Huichol energy, this is a marketplace unlike anything else in Mexico. There are treasures to be had here.